The first one being the real techniques powder brush. I've never included brushes in my favourites before for some reason but I absolutely love real techniques! I bought this brush at the end of June I believe. This month I have been using it every day! It's such a soft brush, I could just sit here and brush it on my face.. 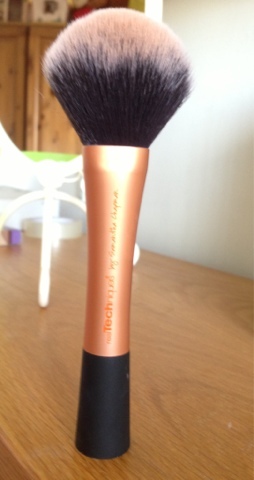 The brush applies powder really well and is also good for bronzer just to bronze the face up, giving it a summery glow. The next product is an eyeshadow by vivo. 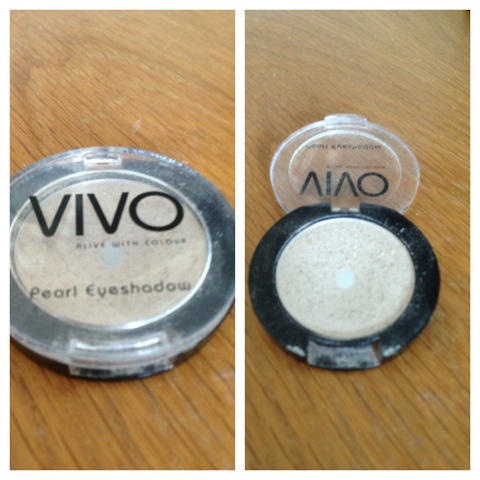 Vivo is a cheap makeup brand found in tesco where they sell eye shadows for a pound. I bought this ages ago but this month I have used it basically everyday as a base because I find its a really pretty subtle colour to use that will go well with any look. The colour itself is quite a sheer creamy sparky colour that looks quite natural on the lid. I have two favourite nail polishes of the month the first one being MUA's nail polish in the colour frozen yogurt. 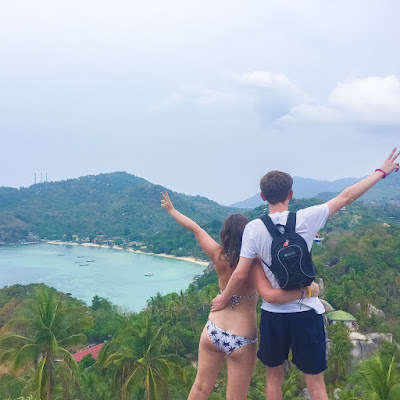 I've already done a review on this which you can check out here. 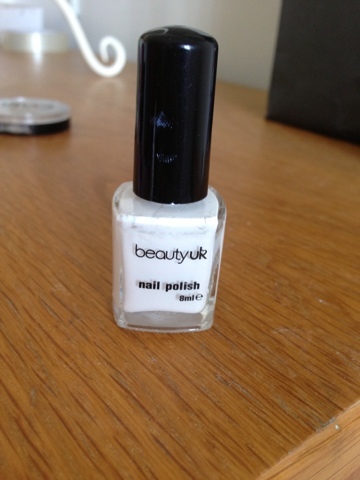 I just love it, it's such a lovely colour and stays on for a good amount of time for the price it is of just a pound! 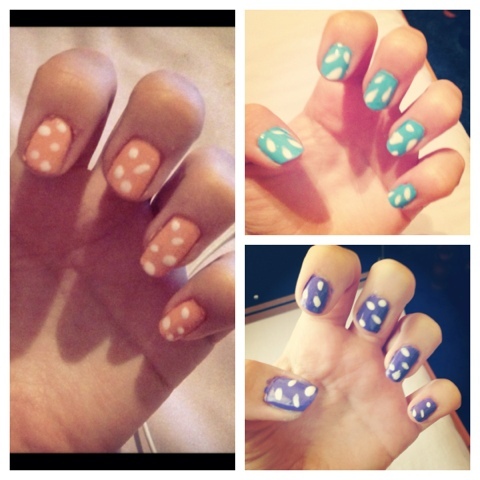 As you can tell they're all dotty nail art but I just love dotty things, it's just really cute! 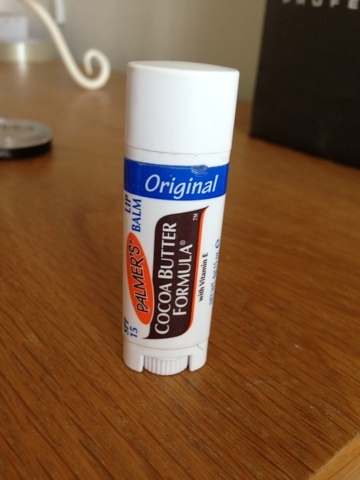 The next product I've been loving is cocoa butter lip balm. This has been a favourite of mine for a while now but I've been using it more this month due to the hot weather. It has SPF in and it smells of chocolate, how can you not love it! A definite summer essential for me! 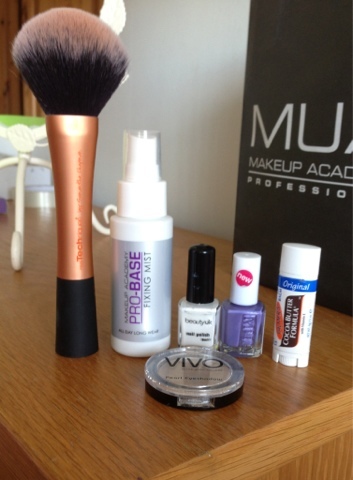 My last beauty product this month is the fixing mist by MUA. 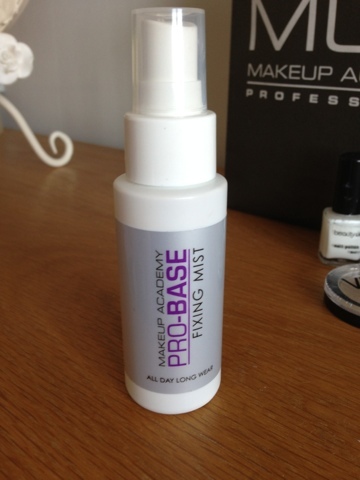 I love this product, it's really refreshing to spray on when your makeup has been applied especially in this weather! I would say it has made a difference with the length my make up stayed on for because this month I've been on many days out and this product definitely has helped keep my make up in place.